Whether you’re looking to amaze a stadium full of fans, enchant an audience in a theatrical performance or captivate an auditorium of students, our professional audio and visual technologies help you leave a long-lasting impression. We're proud to be a trusted AV provider for many of the most iconic sports, retail and entertainment venues, including the Olympic Games. 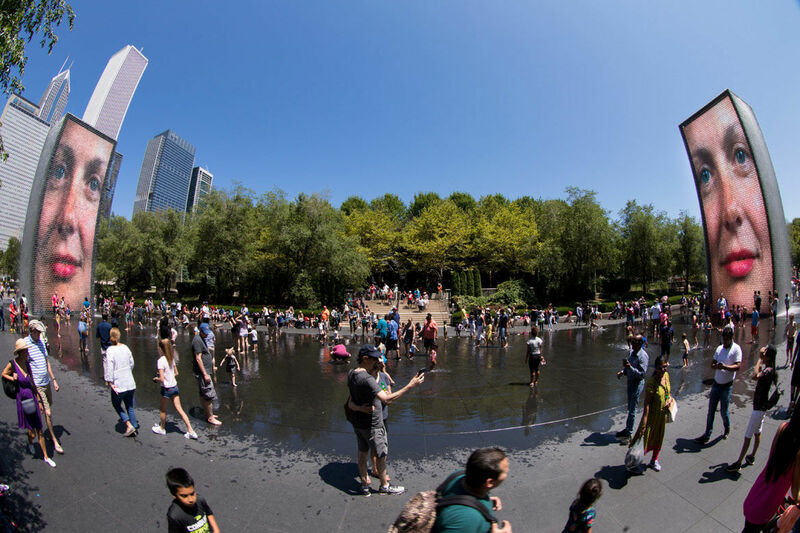 Our innovative solutions invigorate live events and theme parks, captivating audiences worldwide. Panasonic Projection Imaging Systems are the "Official Projection Technology" for Disneyland and Walt Disney World Resorts. We have the equipment, expertise and support to take any event or production to the next level —truly engaging all who attend. Working closely with architects, integrators and consultants, we bring unique AV systems to life. Panasonic brings live events to life with massive, sharp visuals. Working closely with partners like the IOC behind the scenes, we create magical moments using a wide range of technologies. The center of the Disney theme park experience lies within the art of storytelling. 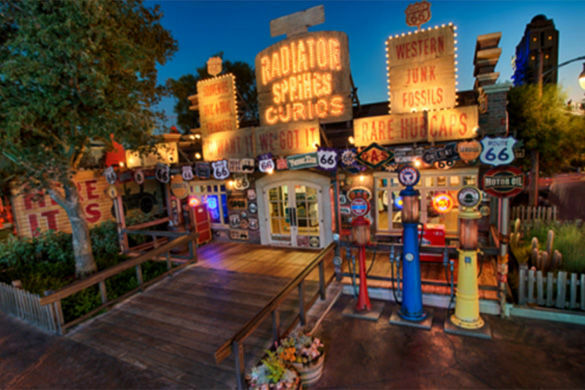 From racing through Radiator Springs at Disney California Adventure Theme Park to embarking on a frozen voyage through Arendelle in the Frozen Ever After attraction at Epcot, Panasonic’s strong technology presence in Disney theme parks in the U.S. has helped enhance the experience for millions of guests. Most recently, Panasonic collaborated with Disney creative teams to enhance the guest experience at an amazing experience inside Pandora – The World of Avatar, a new land which recently opened at Disney’s Animal Kingdom Theme Park—one of four theme parks at Walt Disney World Resort. Panasonic’s projection technology helped Disney creative teams bring one of the attractions called Na’vi River Journey to life. Here guests climb aboard a reed boat for a family-friendly expedition down a gentle, mysterious river hidden within the bioluminescent rainforest. The full beauty of Pandora reveals itself as their reed boat floats through a darkened network of caves and by exotic glowing plants and amazing creatures that call Pandora home. The journey culminates in an encounter with a Na’vi Shaman of Songs, who has a deep connection to the life force of Pandora and sends positive energy out into the forest through her music. “It was important to us that the two worlds work seamlessly with one another, and Panasonic’s projection system allowed us to achieve that level of realism,” said Jim MacPhee, Senior Vice President for Operations at Walt Disney World Resort. “This was accomplished through projection imaging that provided perfect color rendition, precise levels of brightness, and robust systems that could function reliably. More importantly, the secret to success laid within collaboration." The Panasonic team enjoyed the opportunity to collaborate on parts of such a ground-breaking theme park innovation as Pandora-The World of Avatar. Enjoy more amenities, more diverse content, more close-up action, more thrills. Panasonic makes and customizes a wide range of audio visual solutions that make the most of every event, creating unforgettable experiences that get people to turn off the TV and turn out in greater numbers. Our displays immerse tens of thousands in the game, while our between-the-plays content and innovative projection mapping brings them to their feet. Our 4K and HD cameras capture the action, while our control rooms give it drama. And personalized digital marketing lets patrons customize merchandise and food orders for delivery right to their seats. From ballparks to theme parks to museums and more, our creative solutions help elevate every patron’s experience. With congregations skewing older, houses of worship across the country are looking for ways to increase attendance and transform the worship experience by appealing a younger, more tech savvy audience. To dramatically grow the number of millennial members, Redemption Church in Greenville, South Carolina energized its congregation in church and online with new, immersive 4K worship experiences featuring Panasonic 4K/HD cameras, laser projectors and switching equipment. 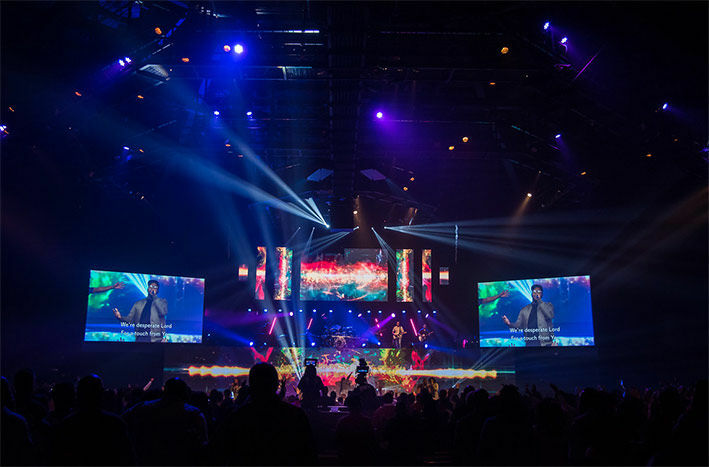 Creating an intimate worship environment in a large space and having it translate accurately across broadcast and social media video formats was a big challenge for this multi-site mega-church. Thanks to Panasonic 4K/HD pro video and projection systems, Redemption Church achieved the visual intimacy they desired. Its congregants are now more engaged in a bright, vibrant, uplifting worship experience that appeals to a younger generation. Imagine a horse the size of three basketball courts. That’s what spectators at the Kentucky Derby see on the 15,224-square-foot Big Board at Churchill Downs, among the world’s largest 4K screens. It’s just one of the many high-resolution LED displays that Panasonic has conceived, designed and installed in stadiums, arenas, entertainment complexes and city centers across the U.S.
We also give Atlanta Braves fans an immersive game day experience from any seat in the house. At newly opened Sun Trust Park, a massive video board is the centerpiece of center field, and just one of the many dynamic displays—along with scoreboards, ribbon boards and a plethora of other digital signage—pleasing crowds in and around the park with 19,000 square feet of high definition viewing. 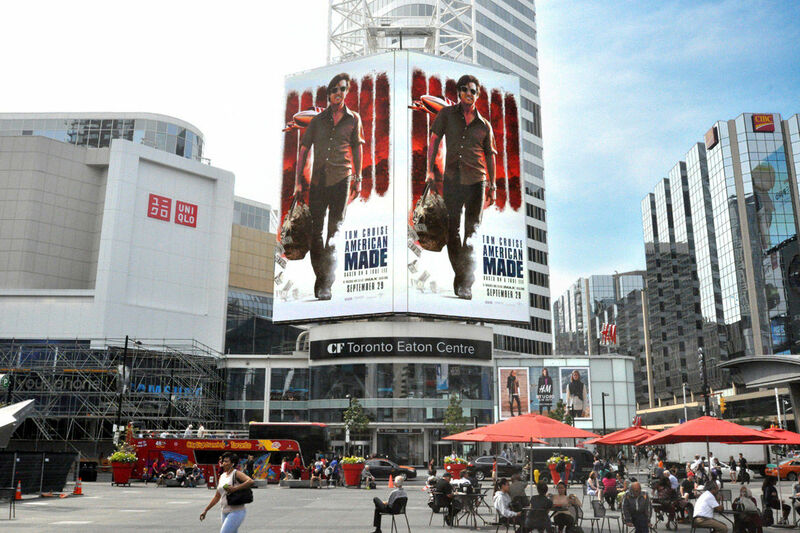 The giant, curved NASDAQ video board that sits above Times Square is another feat of digital signage innovation, as is the 12mm display that towers over Toronto’s bustling Dundas Square, seen by over 100,000 pedestrians a day. Our advanced image processing and lens technology enables cutting-edge artists to transform any surface into a magical canvas, like our Kabuki-themed production in Las Vegas. There, onlookers were dazzled by animations projected against towering walls of water at the Bellagio fountains. We are also turning entire sections of stadiums into large-scale displays, transporting fans through mind-blowing 3D experiences. The Panasonic brand is synonymous with cutting-edge video technology. Partners trust us for the superior quality of our LED video boards, our commitment to service and our ability to provide an ultra-dynamic viewing experience that increases audience size, interaction and revenue. Perhaps the best example of our end-to-end capabilities is the Olympics. For nearly 30 years, we’ve been bringing the world’s greatest sports spectacle to screens worldwide. In 2002 in Salt Lake City, we designed and supplied broadcast systems built to perform in extreme cold. In 2012, our cutting-edge cameras produced the first Olympics filmed in 3D, live from London. And in 2016 in Rio, our audiovisual technology helped shape every must-see moment, from the parade of athletes to the closing extravaganza. If you were one of the three billion viewers mesmerized by the opening ceremonies, you were witnessing 115 of Panasonic’s most innovative projectors working in edge-blending harmony. We also delivered 15,500 units of professional displays, the largest ever in Olympic Games history, installing them at nearly every venue and inside press rooms for picture perfect, live views of the competition. The Olympics are just one way our integrated solutions are turning events into feats of fantasy. Our advanced image processing and lens technology enables cutting-edge artists to transform any surface into a magical canvas, like our Kabuki-themed production in Las Vegas. There, onlookers were dazzled by animations projected against towering walls of water at the Bellagio fountains. We are also turning entire sections of stadiums into large-scale displays, transporting fans through mind-blowing 3D experiences. Whether you’re shooting a feature film, the network news, a corporate meeting, or streaming Sunday’s service, Panasonic gives you the tools to tell the stories that move us. Contact us today! Panasonic technology is taking digital signage to the next level. Connect your message with your audience with eye-catching, interactive displays of all sizes that engage, amaze and drive results. Panasonic LCD and LED Professional Displays provide immersive picture quality for an unparalleled visual experience. Bringing content to life with Panasonic’s high-performance projection technology. Our projector portfolio offers solutions for many environments. Ensure a winning audience experience. Panasonic can help you plan and deliver an in-venue experience that keeps fans entertained beyond just the level of play, generating an attractive financial return. Panasonic Xperiences provides full service content creation and large-scale video production that drives fan engagement and sponsorship satisfaction. Panasonic has special offers for select Professional Display models. See what special offers are available today! Panasonic has special offers for select projector models. See what special offers are available today! We provide quality, tailored video solutions to serve athletic programs of all sizes without breaking the bank. Simple yet powerful custom systems live stream every game in broadcast quality, whatever your budget. 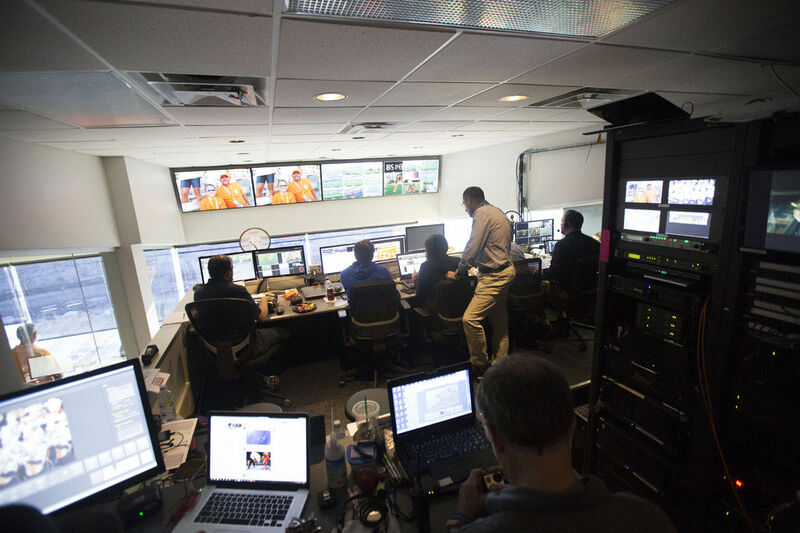 Our comprehensive broadcast and production solution seamlessly integrates replay hardware, image processing technology, control software, data integration and content creation.